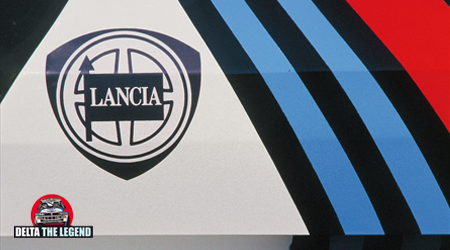 In the world of rallies no other model has won so much and dominated the scene for so many years as Lancia Delta. Thanks to a team of extraordinary men who, with resources that are certainly not unlimited, have been able to innovate, win and beat a much more equipped competition. An Italian miracle that combines creativity, expertise, desire to emerge and a sponsor, the Martini Racing, which has managed to transform a sporting event in a matter of costume, creating a real world of reference. But let’s step back. Before Lancia Delta, what was there? The Lancia world has always been rich of incredible cars that have made the era, that have made dream! One of these was the Lancia Fulvia. It was not born to run, but it was enough an injection of horses and a few aesthetic touches to turn it into the object of desire for all lovers of racing. There were many victories, but the year everyone remembers is 1972 when Sandro Munari got the better of the French sedans in the decisive race of Monte-Carlo. 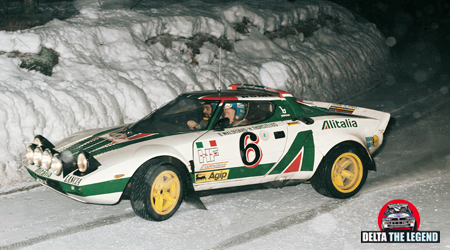 And then what about the Stratos? All fans remember well this car with unmistakable shapes. The Stratos, exhibited in the spotlight of the Turin Motor Show in 1971, was the direct heir of the Zero Prototype. 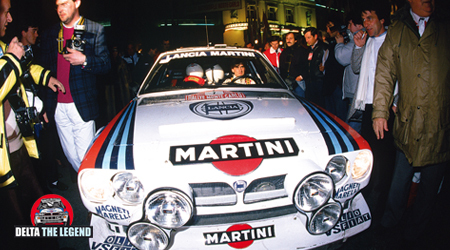 Born to run, to give a follow-up to Lancia successes in rallies, she raced and won so much: 17 victories only to count the world events and several world manufacturers championships. The story goes on … and before the arrival of the legendary Lancia Delta S4, it is the turn of a sedan that Sergio Limone was able to transform into a great racing car: the Lancia Rally 037, with which, Lancia will win his fourth world title. People did not know it yet … but with the arrival of Lancia Delta S4 it was starting a story destined to become a legend! A story that will last from 1985 until 1992 and will lead to the Lancia Delta six consecutive titles and an impressive number of podiums. In the mid-80s the rally world was wild and roaring and did things that would be unthinkable today: overly powerful cars, lightweight, competed on trails to the limit of the agility …The public was very close to the race track and the risks were frequent. This generated the most exciting races of all time, but also the most dangerous. There were many accidents, some mortals. What will remain forever in the eyes of all was the death of Henri Toivonen in the Grand Prix of Corsica (Tour de Corse) in 1986. 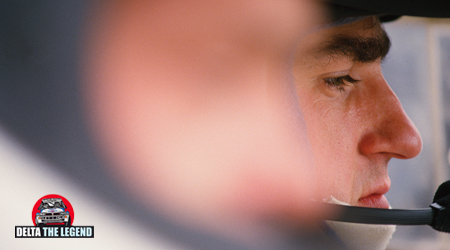 A wound that made them reflect and change direction in the world of rallies. A driver of raw talent, HenriToivonen didn’t take long to win the hearts of enthusiasts all over the world. As well as that of Cesare Fiorio,who had always been convinced that a fast driver sooner or later learns to know his own limits. The son of the great Pauli had amazed everyone in 1980 by winning the RAC Rally with a Talbot Lotus at the age of 24 and although an excessive number of retirements in the following seasons had some- what tarnished his fame, they didn’t change the mind of theTurin boss who saw that he was the right man to bring out the best of the Delta S4. 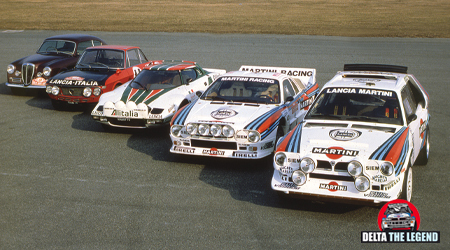 The enormous commitment of Lancia technicians, the efforts of Martini Racing team and the talent of some extraordinary drivers, led Italy to dominate for several years. 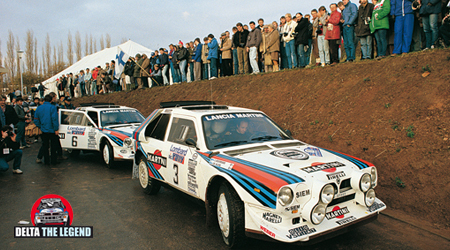 And all this began in the1985-1986 seasons with the Lancia Delta S4 which won several races, but not the world title. A fact, this, almost irrelevant because thanks to the crazy power and incredible performance of the S4 everyone perceived that Lancia would have had a chance to be a protagonist and win in the years to come. Henri Toivonen declared that he never got so tired in a race as with the Delta S4, while Markku Alén admitted to having done more tail head in four days with the S4 than in three years with the 037. The Delta S4’s brief existence in the World Rally Championship began at the end of November 1985 with a dominant victory by Henri Toivonen in the RAC Rally, and concluded on December 7th 1986 on the gravel roads of the Olympus Rally in the USA with a win for Markku Alen. In the 378 days between its first and last appearance in the world championship it was entered in ten other rallies: it won in two, Monte Carlo and Argentina, it finished runner-up in five others, and third in three more: the Delta S4 did not win a title but it was certainly one of the stars. There is no bigger gift for those who love the rally than relive this immense emotion through the opera Delta The Legend, which tells the sporting deeds of the Lancia Delta from 1985 to 1992! Find out more and buy the work (GO TO STORE).